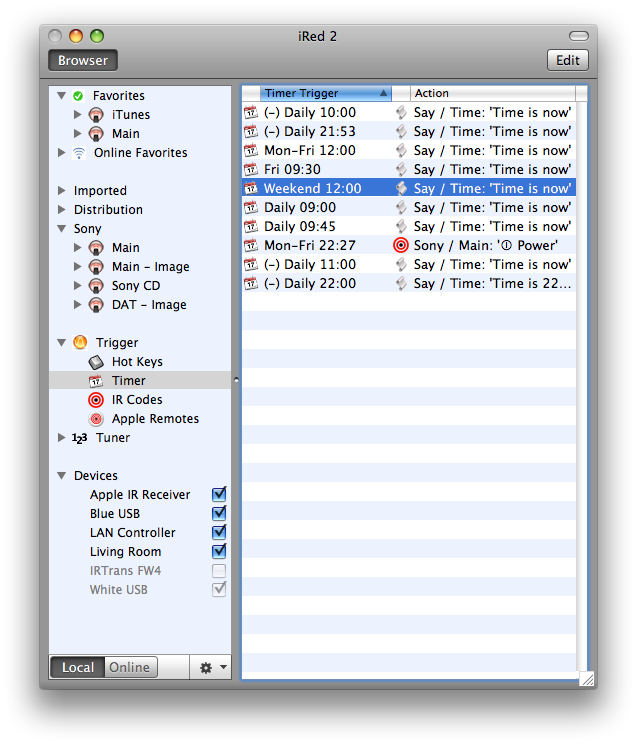 This screenshot shows the main window of iRed2. 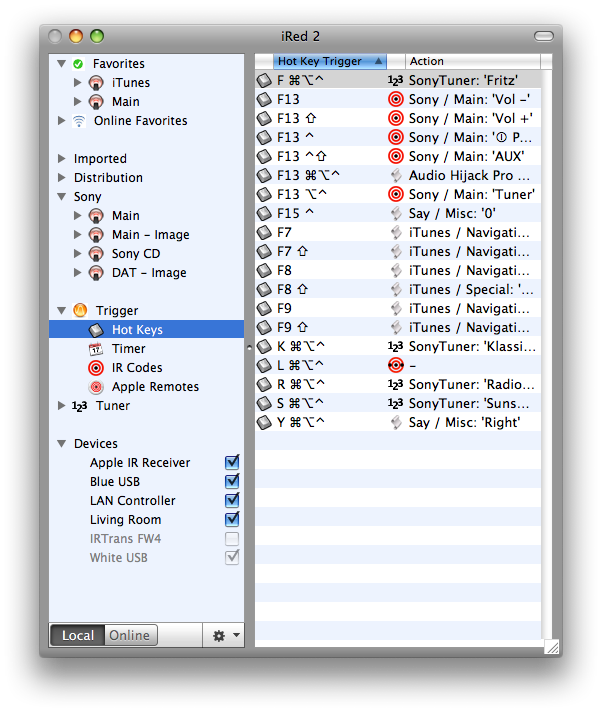 The browser on the left lets you access your remotes with one click, or edit triggers and device settings quickly. 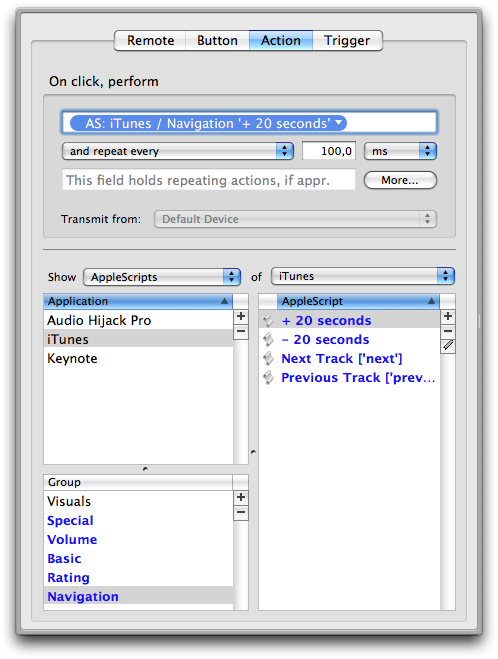 On the right, this example shows a typically remote which controls my audio equipment. 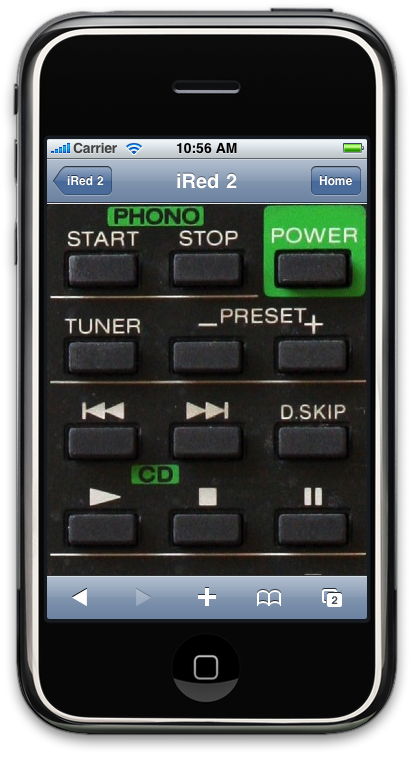 Photos of real remotes may be used, too (see below). 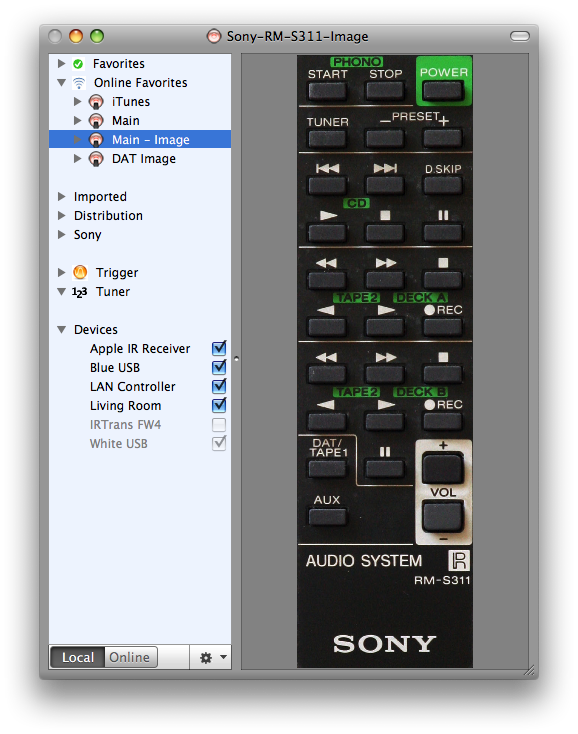 Remotes on the Mac are fully resizable, up to full screen view. 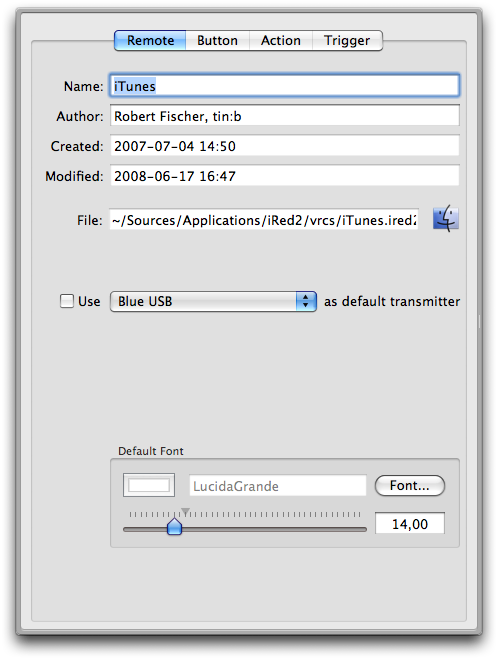 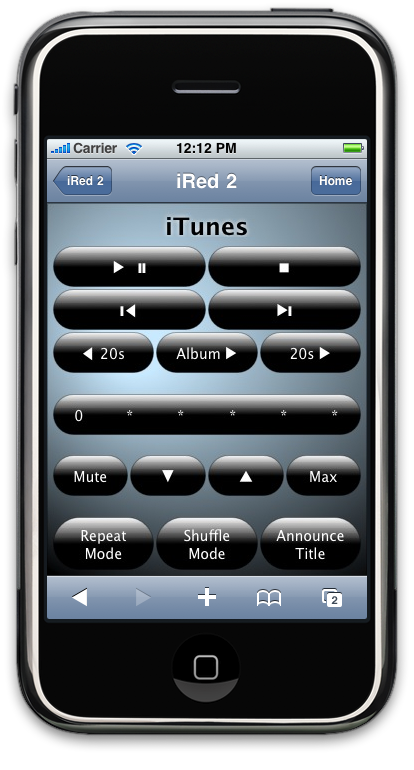 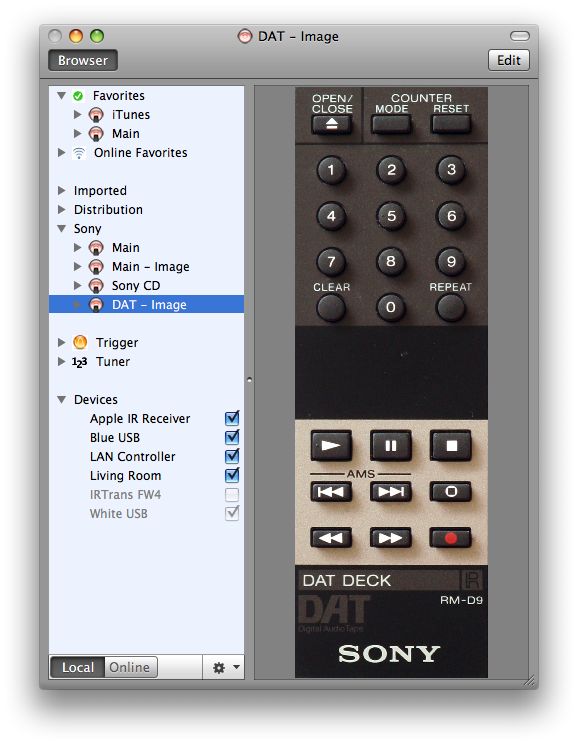 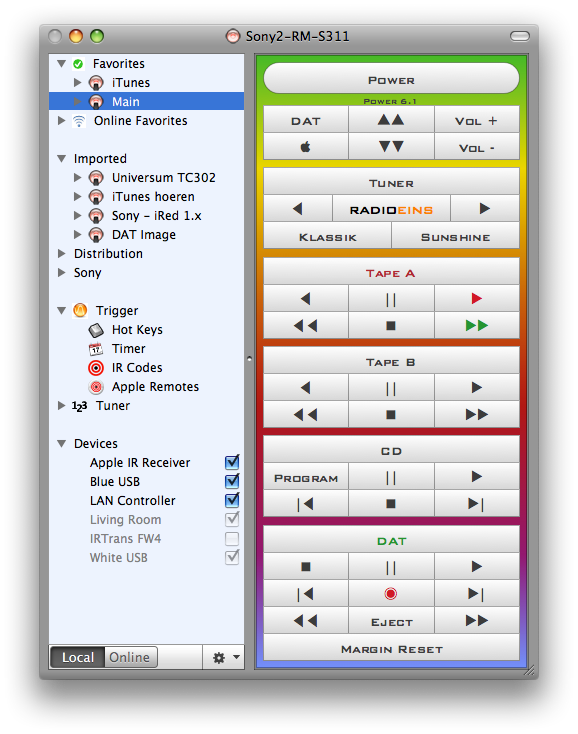 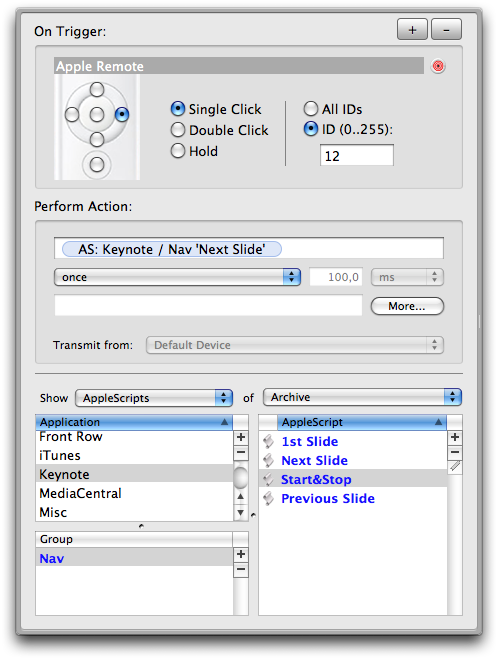 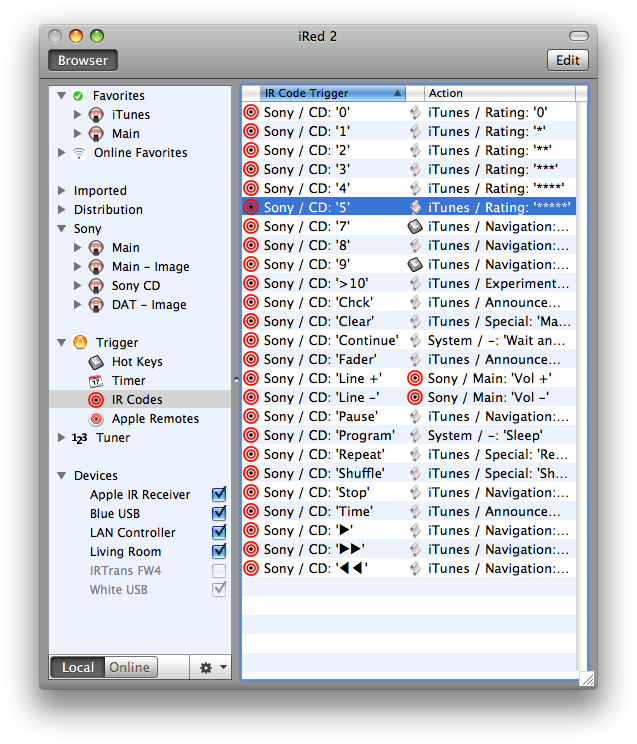 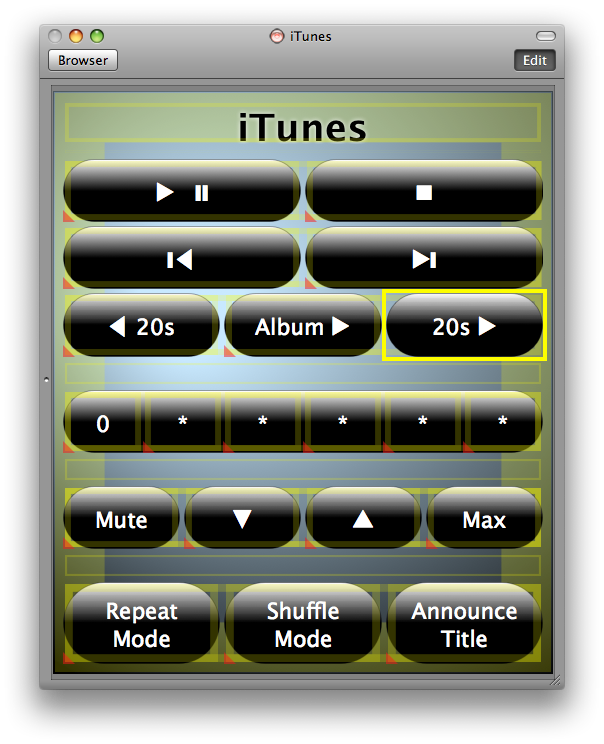 This remote shows an iTunes controller as seen on the Mac. 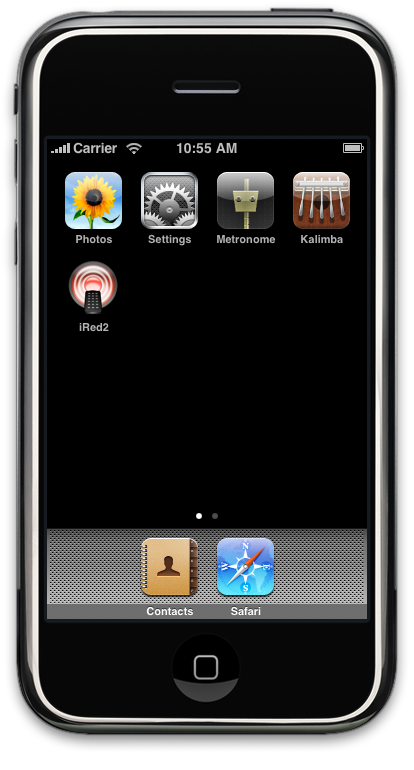 Not too useful? 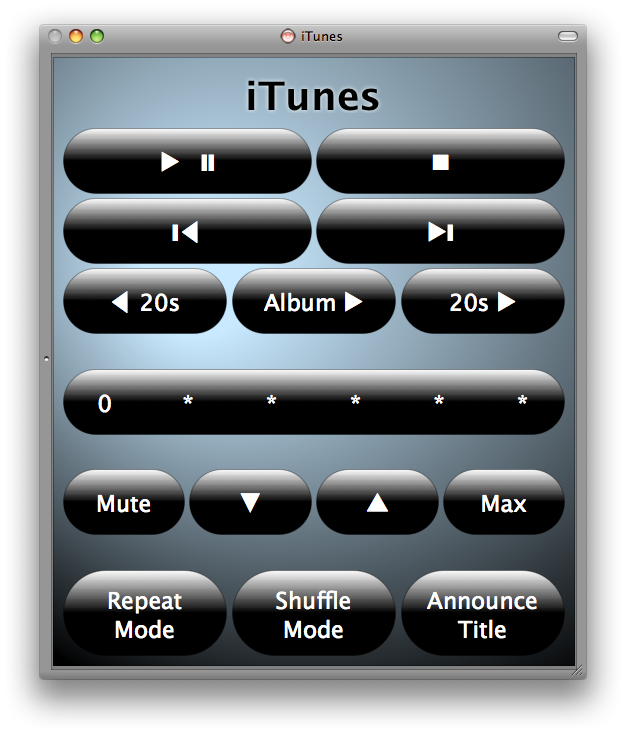 But: the same remote can be accessed online, too. 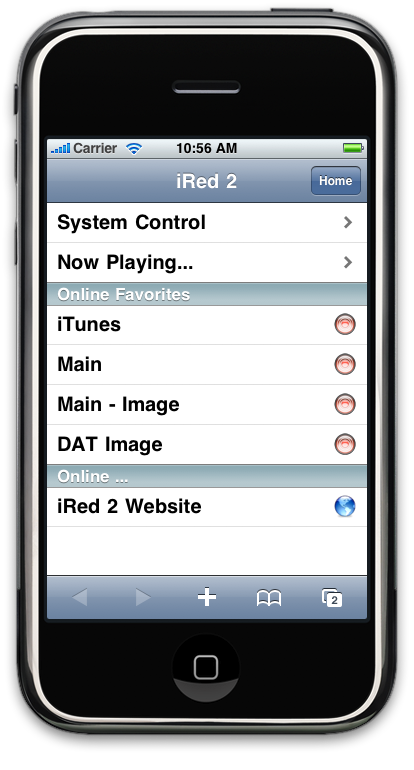 See below, how it looks like on the iPhone or iPod touch.